Today’s post is a little different. This isn’t a fashion, beauty. must have trend or what I wore post but a post that simply addresses constant feelings, emotions and questions I have as a young woman about beauty and the way we as a social media generation perceived women today. 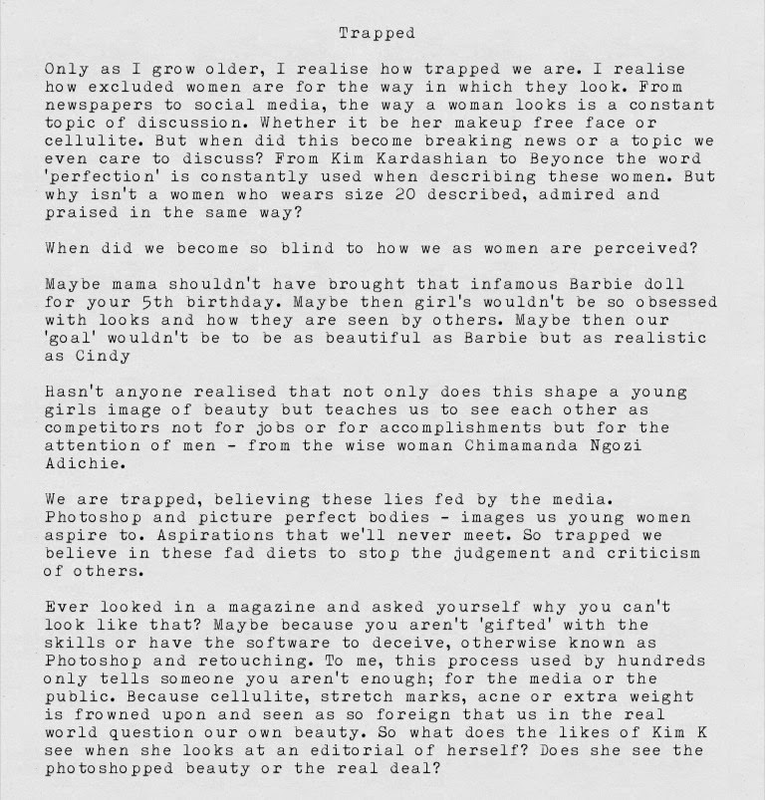 I’ve had this open letter (which actually landed me an A as a written piece of work for school) in my ‘Fashion Killer’ notebook for sometime now but just didn’t know when to post it on here/how to address it. So, I’ve decided to give it to you as I wrote, open.